Rumble. | O. R. R. - Life & Style Journal. Baked stuffed bell pepper. Mozzarella, sautéed vegan sausage, mushrooms & onions + a bit of peanut butter in the left half. One small egg in the right - sautéed mixture underneath. I haven't had the time to create another food post. I don't want to make any false promises but hey if you like food posts, I'll try to upload another recipe within the next two weeks. Here's what my mouth has been up to recently though. If you follow me on Instagram or Tumblr, you've probably seen some of these photos. Salad bowl: Spinach, chickpeas, strawberries, sesame seeds. Balsamic vinegar, my favourite salad dressing. Detox water: Lemon, lime, cucumber & good old H2O. Salad prepping: Avocado, romaine lettuce, plum tomatoes, sweetcorn, smoked beetroot. Apple cider vinegar dressing. For my sweet tooth: Mangoes & clementines. 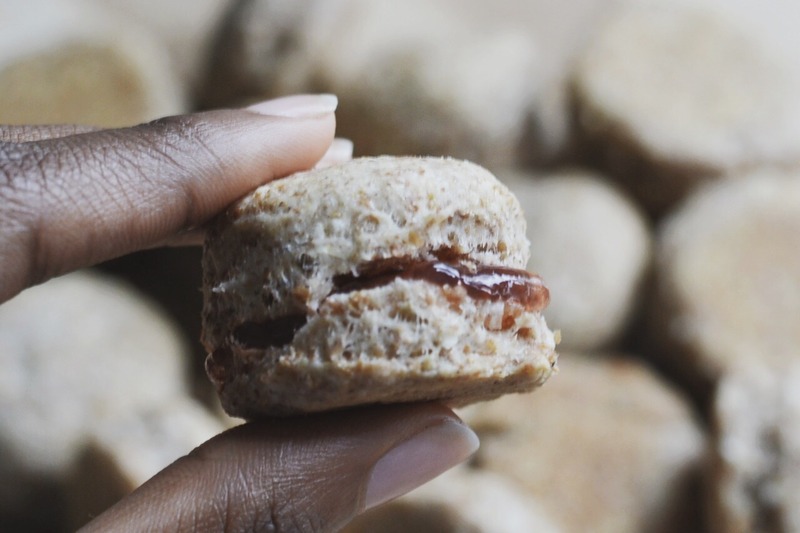 3-Ingredient Coconut Oil Biscuits. I made a few adjustments to this recipe. I had them with a bit of jam. Wholemeal wheat flour, oatmeal, banana & coconut milk pancakes. The thicker, the better. Topped with frozen berries, more bananas, maple syrup & almond butter. I don't know what to call this... You know those meals you just toss together when you're in a hurry but they turn out great? Yeah this was one of them. Quinoa + sautéed sliced mushrooms, green peppers, onions + toasted sesame oil + a few spices. Mozzarella, mushroom, peppers, tomato (& a bit of Sriracha) tart. I'm going to make this again and upload a recipe soon. Probably when I have my next cheat day. All that cheese my brethren. #MozzarellaLoversUnited. Kelis' album is called "Food". So you know, I'm just dropping one of my favourite songs on it. "Rumble", what my tummy does when I see, smell or hear food.